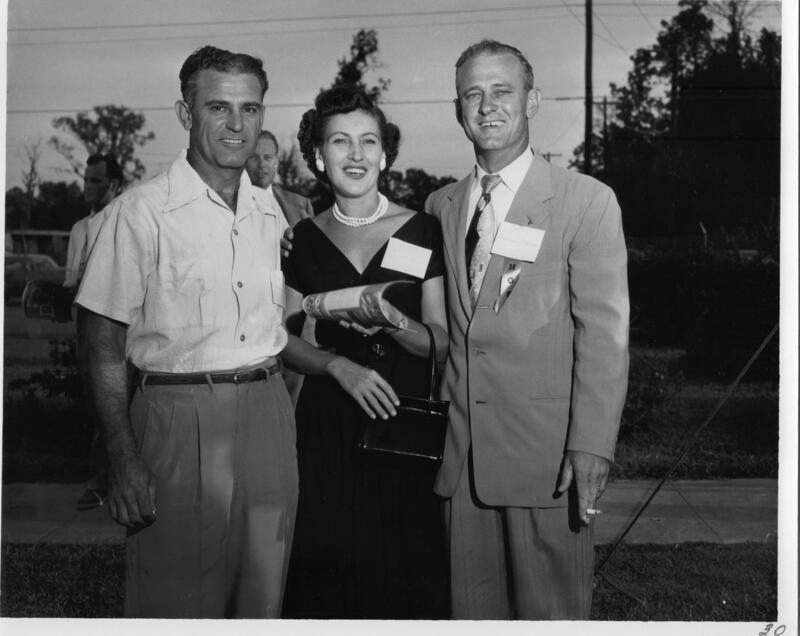 Description: Photograph of guests at the Dollinger Steel fiftieth anniversary celebration. Each guest has a name tag pinned to their shirt, but the only readable one is that of Herman Myers on the right. Myers is holding a cigarette in his hand. The woman at the middle is holding a copy of "The Dollinger Story." Two men are standing behind the group to the left. Automobiles are parked in the background.